Allergy information:Contains milk & soy. May also contain traces of nuts as these products are handled in our factory. Suitable for vegetarians. Gluten free. 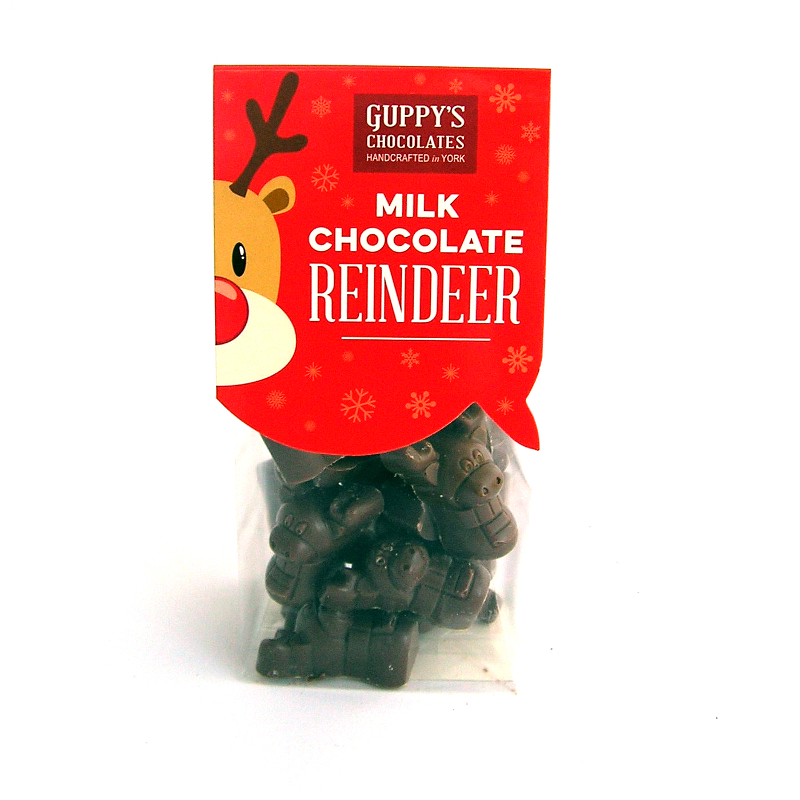 These sweet chocolate reindeer are so cute and made with chunky milk chocolate. They are great as a little gift or to go in a Christmas stocking! Hand them out at your next Christmas party as little festive favours.